I'm not exaggerating when I tell you this is one of the best muffins I've ever made. And it was easy. Half of the ingredients you just toss into a blender! Preheat oven to 375 degrees. Grease 6 regular-sized muffin tins with Pam/butter/Earth Balance. In blender (I used the Magic Bullet) bowl, puree plantain until smooth. Add egg and vanilla, blending again just to combine. Add the wet mixture to the dry, stirring until just combined. Fold in grated zucchini. 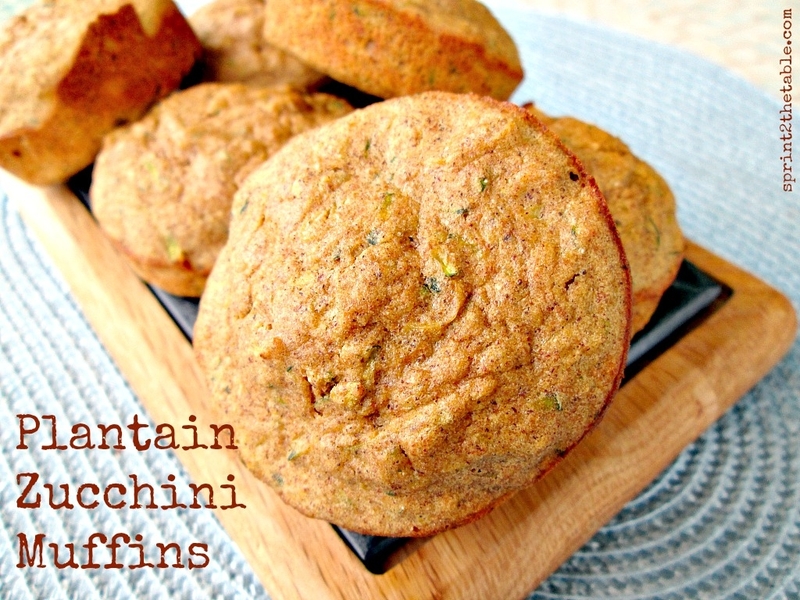 Pour into muffin tins and bake for 20-25 minutes.